Get 3x the CBD – 1000mg of CBD for the same price with our CBD Isolate – Unfortunately, we are currently out of stock of the CBD Pearls and do not have an estimated date of when we will have them in stock. We recommend the Isolate as a direct substitute – add to any food or beverage, or any combustible. View here: https://cannananocbd.com/buy/isolate/ – one match head size scoop is equivalent to 1 pearl. 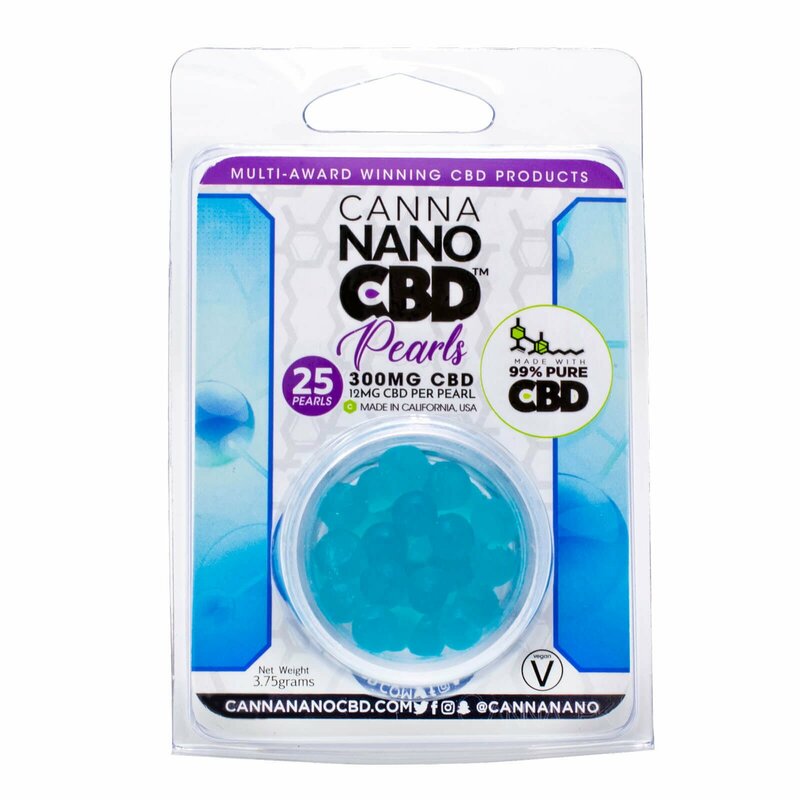 Our Canna Nano CBD Pearls are an innovative new product that allows you to take CBD in the very best delivery methods. Completely food safe, edible, and even vegan – you can place it under your tongue for a direct dose, or dab it, drink it, vape it – use low heat for devices of delivery or add it to your favorite drink for an elixir of mass benefit!